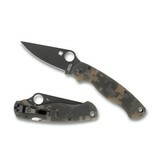 The Spyderco Para Military 2 Digital Camouflage Black Blade G-10 has several changes over the classic version. 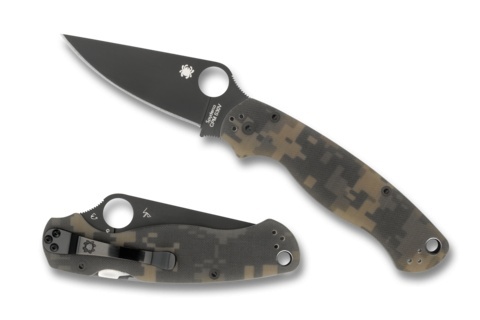 The G-10 handle is narrowed at the end improving the ergonomics. It features a Compression Lock and an ambidextrous-friendly four way clip which carries tip-up/tip-down, left/right-hand and rests deeper in a pocket.